I don’t think anyone begins homeschooling dreaming of spending their days filled with crying, arguing, and bad attitudes. No one says, “I hope I feel exhausted all the time. Complete burn-out would be fun!” We were headed in that direction. But I’m thankful that God wrote a different story for us. Knowing my own homeschooling philosophy made all the difference. I started out with a particular philosophy, and its accompanying methods, because I thought it was THE WAY to educate children. But over the years I learned what I believed about education and chose methods that supported it. I call this philosophy Heart-to-Heart Homeschooling, even though I didn’t have a name for it when we were doing it. It took several years of defining and refining my thoughts on the subject to even be able to put it into words. But in the end, it is what worked for us. Whether you have just started to homeschool, or have been doing it a while, determining your own philosophy of education will have major implications for your homeschool. What is education? What is the purpose of it? What role does the teacher play in education? What worldview do I want to base my children’s education on? What role does relationship play in education? Why does having a Philosophy of Education matter? What we believe determines our actions. For example, if I believe that we need to be debt-free, I’ll make and follow a budget. I won’t go out shopping just for fun and put things on my credit card without considering if I have the money set aside for those purchases. What we believe helps us make choices. 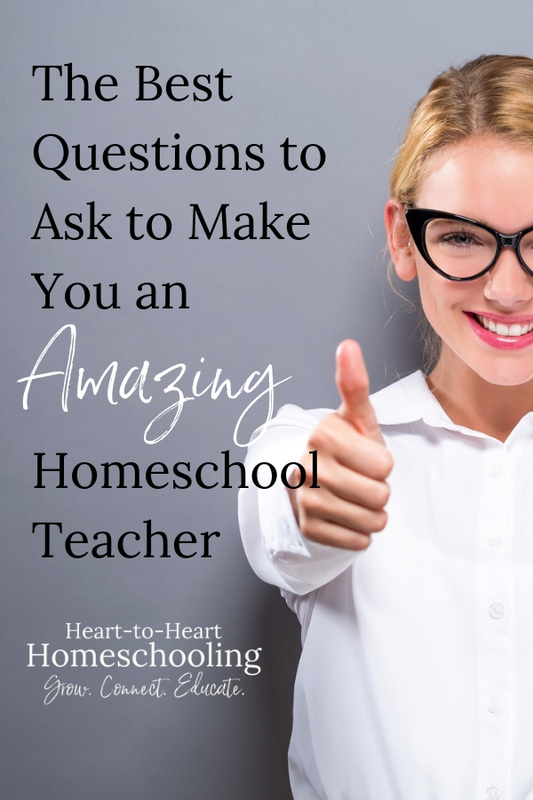 There are so many questions to answer when it comes to homeschooling! Will you use textbooks or living books or a combination of both? Will your students learn grammar through memorizing rules, exercises, and diagramming? Or will they learn it through copywork, dictation, and other natural methods? Will they study history chronologically starting with Ancients, or will they begin with what they know—like their communities, states, and country? When you don’t know what resource to buy, what curriculum to use (or if you should even buy a packaged curriculum or piece together your own), or what activity or class to participate in, whether to participate in a homeschool group or co-op, a philosophy of education can serve as a guide in making decisions. When we are unclear about these things, we tend to try to do too much. If you do not want to feel overwhelmed with educating your children, if you want to teach from a place of peace, and if you want your children to learn in the same way—then know what you believe. An awareness that each decision we make for our homeschools is influenced by what we believe should lead us to ask: What do I believe? You will want to answer these questions yourself (and I have a download available to help you do just that!). But I want to share my personal answers to these questions. They encompass what I call Heart-to-Heart Homeschooling. What is education? What is its purpose? EDUCA’TION, noun [Latin educatio.] The bringing up, as of a child, instruction; formation of manners. education comprehends all that series of instruction and discipline which is intended to enlighten the understanding, correct the temper, and form the manners and habits of youth, and fit them for usefulness in their future stations. To give children a good education in manners, arts and science, is important; to give them a religious education is indispensable; and an immense responsibility rests on parents and guardians who neglect these duties. You’ll notice this definition is about so much more than just intellectual knowledge. It speaks to character and emotional health. It encourages developing manners and habits that prepare children for their futures. It acknowledges the need for spiritual and emotional growth as well. Education involves more than just memorizing facts and storing up knowledge. It is about making connections, learning to interact with others, and growing in maturity. To bring up, as a child; to instruct; to inform and enlighten the understanding; to instill into the mind principles of arts, science, morals, religion and behavior. To educate children well is one of the most important duties of parents and guardians. All of these words: to bring up, instruct, inform, enlighten, and instill are action words. They require intentionality. The teacher plays an active role in the education of children. And don’t you just love that he ascribed this duty to parents and guardians! Duty connotes the idea of obligation, of something that is required. As parents we are responsible to educate our children. This does not mean we won’t utilize a variety of resources, people, and opportunities to do this. We don’t have to do it all ourselves. However, we are ultimately the ones responsible for their education even when we choose to outsource or delegate some of that responsibility. We facilitate an environment, seek opportunities, and evaluate resources all with the purpose of making sure learning happens. Students learn in many different ways. In his definiton of learn, Webster states, “We learn things by instruction, by study, and by experience and observation.” Others have described different types of learners as auditory, visual, or kinesthetic. 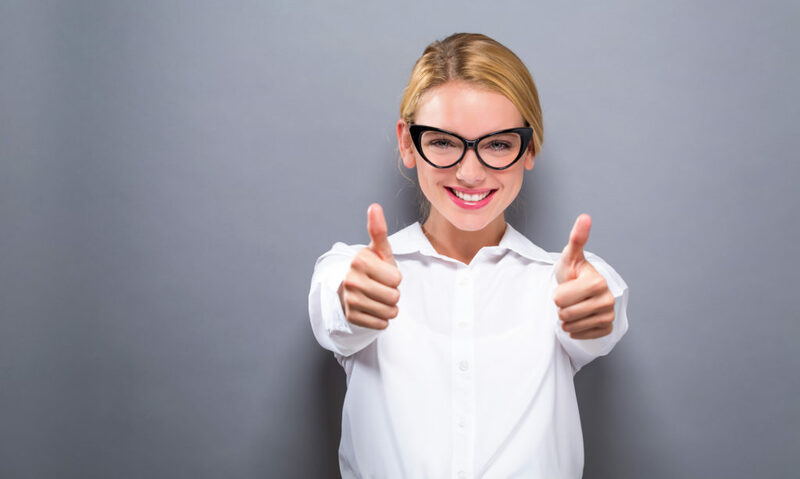 However you label it, or however you go about it, there is one characteristic that seems to be universally true: the more active your students are in the process, the more they will retain. Interest in the subject. I’m sure the fact that we put more effort into the things we find interesting is a part of this, but I also think that curiosity about a subject prepares us to learn it better. Getting enough sleep. Let’s face it, it is hard to pay attention when all you want to do is go to sleep. Study your kids to see what works for them. And ask them! They will probably come up with ideas you have never considered. To answer this we have to go back to the purpose of education. If the purpose is to address the needs of the whole child—to help them mature and to prepare them for their futures—then the subjects that are taught should keep that big picture in mind. Of course we must also consider the requirements of our states. And if you have a teenager who plans on attending college, then you also need to bear in mind what those college’s expectations include. But these considerations should not supersede what is best for your child. When it comes to academics, there are both skill subjects and knowledge subjects. Think of skill subjects as those foundational ones that knowledge is built upon. For example, the ability to read, a skill subject, is required for practically every subject a student will learn. History, however is a knowledge subject. You don’t necessarily need to know about history to complete a math assignment. Why is this important? When choosing the subjects that your children will study each year, you will need to consider how you continue to strengthen skill subjects and continue to grow in knowledge subjects. You will also realize how much learning can be combined when you see this relationship. For example, children can practice their writing skills in different knowledge subjects instead of just in Language Arts. And remember, when teaching required subjects, there is a lot of freedom about the resources and methods you can utilize in doing so. Cultivate the calm, more deeply connected life you crave! The simple answer: whatever works best for YOUR child! Method is defined as “a particular form of procedure for accomplishing or approaching something, especially a systematic or established one.” In other words, your methods will be “how” you choose to homeschool. One thing is true though—each method will reflect a philosophy of education. Though the Bible doesn’t speak specifically to how we are to homeschool our children, I do believe it gives us guiding principles. We can use these principles to prayerfully choose not only the methods, but the resources, curriculum, and activities our kids will learn from. As Christian homeschooling moms, I really see only one possible answer to this question. I believe verything should be filtered through the Word of God. Does that mean that every resource has to be “Christian” with accompanying Bible verses? Do we have to agree with each resource and book we use? Absolutely not! But we do need to see it through a Biblical lens, considering the age appropriateness of the resource and our children’s maturity level. When we evaluate resources, we ask questions like: What does this author believe about creation and sin? What does the author believe happens to man after death? Is there absolute truth or is it relative? When students are young (and as they continue to grow), the strong foundation of God’s truth as revealed in Scripture must be established. Then, as students grow and mature, help them to be able to answer these questions as they encounter various ideas, learning to discern truth themselves. You probably won’t see this question in other philosophies of education, but I think it is extremely important. God designed us for relationship—with Him and others. God the Father, Son, and Holy Spirit live in perfect community. How could our view of relationships not influence our philosophy of education? Your relationship with God matters. Your relationship with your husband and children matter. Their relationships with one another, family, and friends matter. When relationships are a mess, so is learning. Education should encompass the development of the whole child—heart, mind, and soul. It includes not just knowledge but the ability to make connections, build relationships, and develop character. Parents are ultimately the ones responsible for the education of their children. Children learn in many different ways, but they should be active participants in the process. The subjects chosen to study should address the development of the whole child with consideration to the specific gifts, talents, interests, and abilities of the student. The methods used in teaching these subjects should be evaluated in light of the guiding principles of Scripture. As Christians we look through the lens of Scripture to evaluate what we believe about the world. Therefore any of the subjects we are studying as well as the resources we use and the ideas we learn about should be filtered through that same lens. Relationships provide the foundation for education. When it comes to the how, Heart-to-Heart Homeschooling, can really be described as a eclectic approach using what works best for YOUR kids. In your own homeschooling, I encourage you to go back and consider these questions for yourself. To answer these questions you will need to become the student. Learn from those who have gone before you. And study your children—how they learn, what methods are effective, whether they are mature enough for certain subjects. Consider writing out, or at least thinking about, your own philosophy of education. What you believe will impact your decisions whether you take the time to consider it or not. Definitions from The New Oxford American Dictionary and Websters 1828 Dictionary http://webstersdictionary1828.com.